It is very comfortable, I like the feel of it and it looks sporty and totally different from the metal bracelet of the 116520. I am just informed by Photobucket to update my account to enable third party hosting. Will try to update it asap. Apart from PB, what other ways you all post your pictures? I use Flickr now. Some use Imgur. Thanks for the information, I'm not going to pay $400 as I only use PB once in a while. Man, that's a beautiful Daytona -- congrats! Great dial! congrats, looks like it will be very comfortable. Best of both worlds! CONGRATS! The dial appears cream colored with the panda, true Newman look. 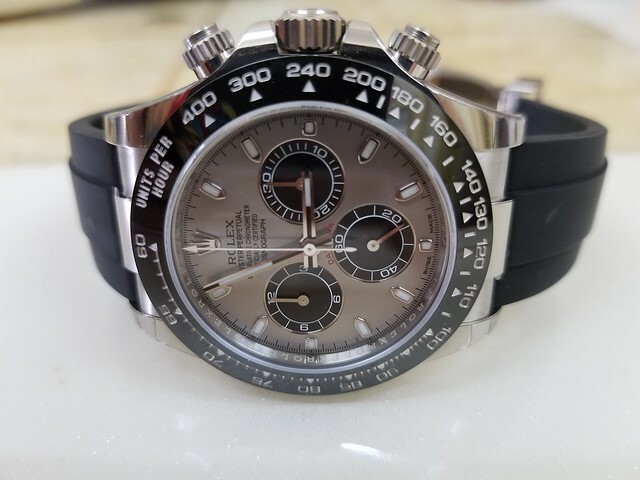 It's a white gold 116519LN, they call the dial color steel and black. 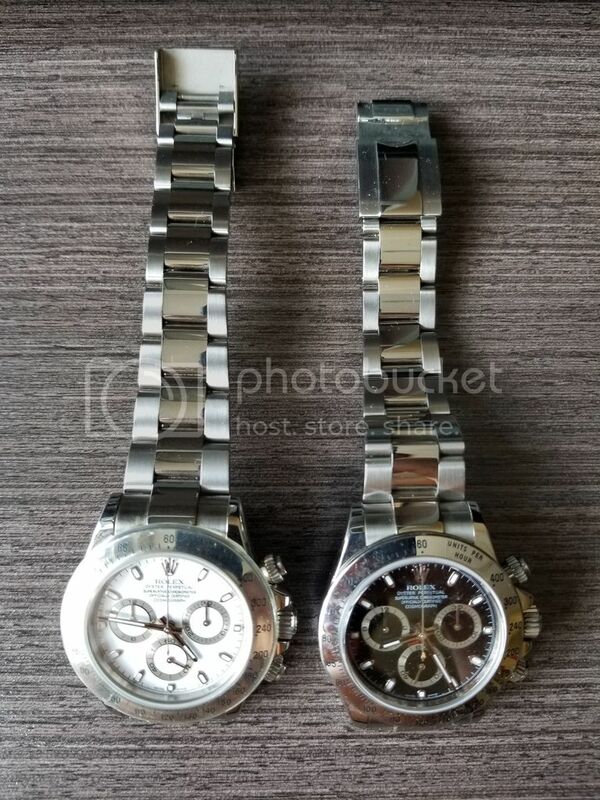 It looks different on my picture due to lighting, you can check Rolex website for the true color. Congratulations! I tried on the same model at my AD and it is very likely soon to be in my collection as well. Enjoy yours! It looks just so perfect! You did great on grabbing this.